Banse. Our lovely Havana, who almost turned 19, before he had to be put down. Banse, Ylle's brother, was a royal cat, in his own opinion. he was rarely seen by strangers, only people whom he knew was allowed to greet him. At least in the beginning, as he grew older, his tolecance towards humans grew as well. 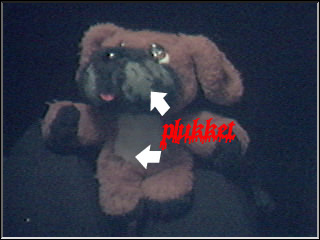 He had a habit of thrashing stuffed toys. First he tore out all the plush, then he shredded the remains, and after that he went to search for a new toy to kill. They the inevitable happened. Banse got ill, and after two rounds of penicillin we had to face that this was the end. 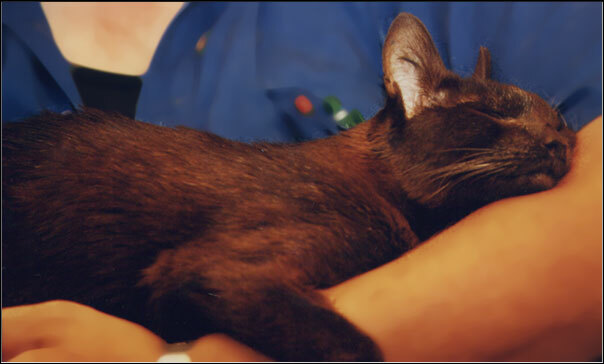 Therefore his long life ended at the Vet 2 months before his 19th birthday. 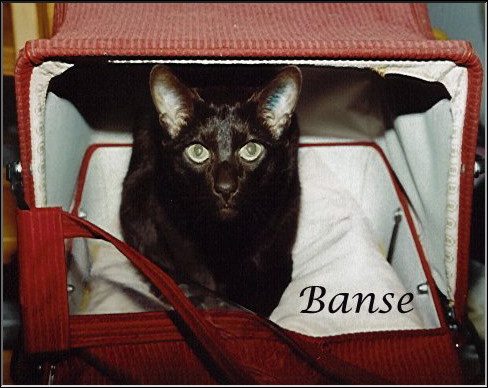 This is the last picture of Banse, taken just before his last trip.